This is the first comprehensive cost-benefit analysis of Leadership in Energy and Environmental Design (LEED) buildings certified within the higher education sector. 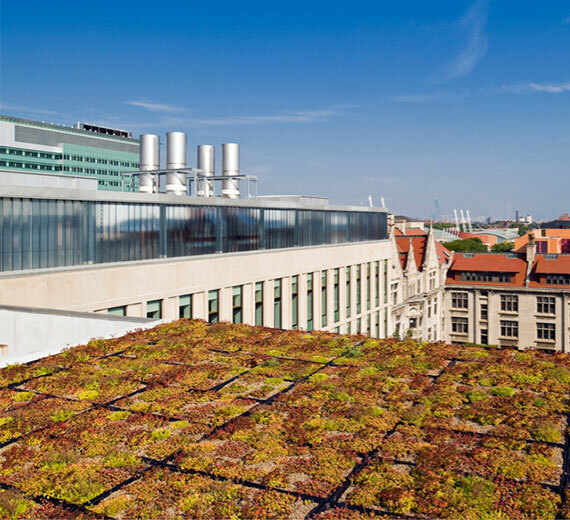 Sixteen institutions of higher education (IHEs) were surveyed with the findings focused on the upfront green premium and down the line energy savings. The net present value (NPV), internal rate of return (IRR), and discounted payback period were calculated to determine the financial feasibility of LEED certified buildings within the higher education sector. The findings indicate mixed results when looking at the projects from both an upfront construction cost and full lifecycle perspective. The relationship between LEED level and energy savings per square foot per year was reviewed after removing the outlier of $42.37/sf. As Exhibit 3 illustrates, there is no relationship between LEED level and energy savings per square foot per year. The lowest annual energy savings $/sf were LEED level platinum buildings and the highest annual energy savings $/sf was a LEED level gold building. In order to address the second research question of lifecycle energy benefits versus the upfront costs of LEED-certified campus buildings, a net cost-benefit analysis was performed. Calculating project performance criteria was done using NPV, IRR, and the discounted payback period for each survey with a discount rate of 3.5% and a building lifecycle of 25 years. The NPV, IRR. and discounted payback period for each of the 16 surveys are shown in Exhibit 4. NPVs ranged from $232.20 to $698.32. IRRs ranged from 20.18% to 51.02%. The discounted payback period ranged from 0 years to 10.48 years. There were 10 surveys where the discounted payback period was not calculated as it exceeded the building lifecycle cutoff of 25 years. Previous studies have failed to focus on the higher education sector as it relates to LEED-certified buildings. Therefore, there was limited literature and data on the subject. However, when reviewing the literature, the results showed an upfront green premium of $0–$9/sf. For the annual energy savings, results ranged from $0.10 to $2/sf. The results for the green premium ranged from $0.00/sf to $235.00/sf. When the outlier is removed, the green premium ranged from $0.00/sf to $12.00/sf. The annual energy savings ranged from $0.17/sf to $42.37/sf. When the outlier was removed, the annual energy savings ranged from $0.17/sf to $0.75/sf. When comparing the existing results to the current results without the outliers, they seem to be somewhat in line. There were two extremely high outliers in this study. Firstly, there was a green premium reported of $235/sf. The respondent may have answered in a different measurement versus dollar per square foot. That is why the median was used in this case. Secondly, there was an annual energy savings of $42.37/sf reported. Again, the respondent may have answered in a different measurement versus dollar per square foot and that is why the median was used in this case as well. platinum building and the highest green premium $/sf was a LEED level silver building. This could be due to different building projects obtaining different LEED points in order to achieve their particular LEED certification level. For example, one building project may have spent more money to obtain 1 LEED point for brownfield development versus development density and community connectivity for 5 LEED points. The municipality and location of the IHE within that municipality may determine if an IHE would even qualify for the development density and community connectivity. For example, it is unlikely a building would qualify, for example, if it is in a rural community with strict zoning density restrictions. It was also surprising to see that there was not a relationship between annual energy savings and LEED certification level. The lowest annual energy savings $/sf were LEED level platinum buildings and the highest annual energy savings $/sf was a LEED level gold building. Again, this could be due to different building projects obtaining different LEED points in order to achieve their particular LEED certification level. For example, one building project may have decided to obtain 2 LEED points for introducing green power while another project may have opted to obtain 2 LEED points for material reuse. This focus on introducing green power versus material reuse could potentially cause an increase in energy savings for one project versus another. For the surveys where NPV was greater than 0, LEED-certified campus buildings were profitable. For the surveys where IRR was greater than the discount rate of 3.50%, LEED-certified campus buildings were profitable. For the discounted payback period, results less than the building lifecycle of 25 years made a campus building project profitable. It was interesting that only six surveys had a positive NPV. Additionally, only six surveys had IRRs greater than 3.5% and payback periods less than 25 years. These results show that the majority of campus buildings in this study did not make sense financially. However, there were still multiple building projects that did make sense financially.